Although I feel like they had fun doing this at 1% of 200,000,000 people on the website, I would like to see the analytics see how the number was derived! 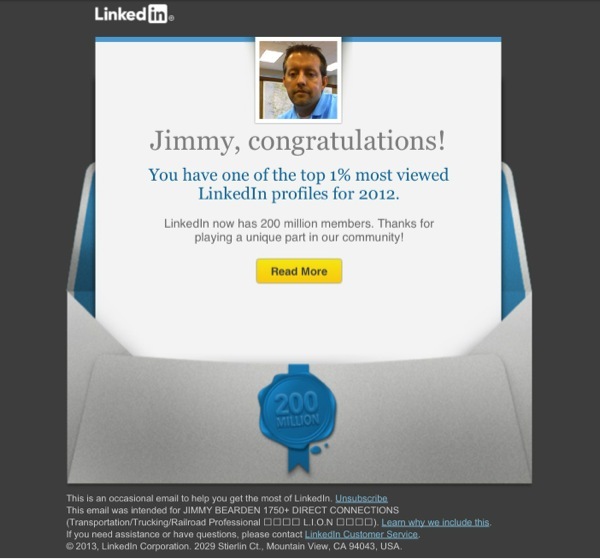 Thanks www.Linkedin.com! Click here to visit Jimmy Bearden on LinkedIN!